The below is a Google Translate (rough) English translation of the article that originally featured on Das Filter in German, hosted by Christian Kleine's long-lost partner in crime, Thaddi Herrmann (Herrmann & Kleine), including an interview by Das Filter's Ji-Hun Kim. 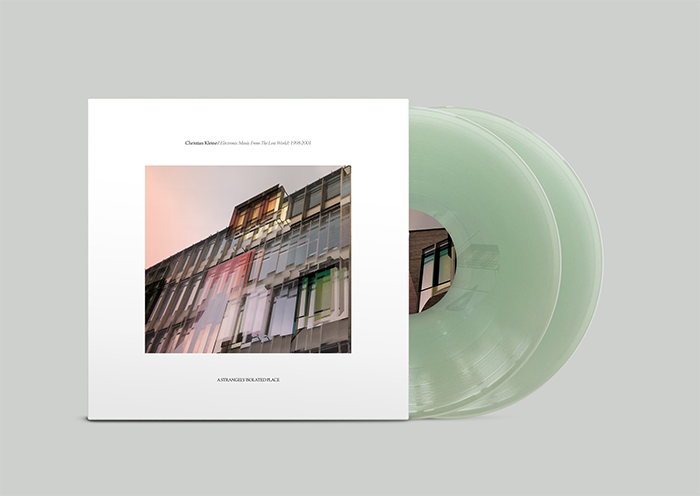 Christian Kleine's release with ASIP, is available now on double gatefold green vinyl + digital. Read Christian's bio + get to know playlist, here. Interview with Christian Kleine, by Ji-Hun Kim (Das Filter). The musician and producer Christian Kleine was an important part of a youth movement that called itself the early 2000s Indietronica. Christian released as a solo artist on labels such as Morr Music and City Center Offices and operated together with Thaddeus Herrmann and the project Herrmann & Kleine. With the EP "Kickboard Girl" they succeeded in 1999, a veritable international independent hit. But that's almost 20 years ago. Some time ago Christian's "Electronic Music From The Lost World: (1998-2001)" appeared on the American label A Strangely Isolated Place. And he continues to be a diligent producer, who publishes wonderful albums on a regular basis. 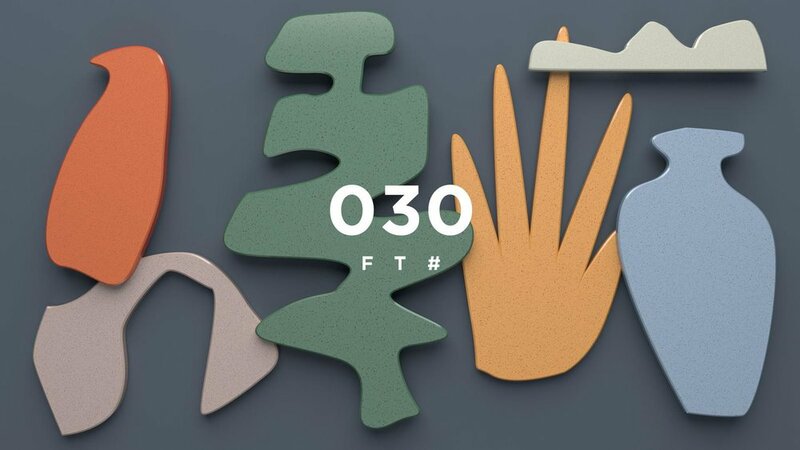 For the thirtieth run number of our filter tape series, Christian has developed a wondrously independent language. The Beatles next to Labradford and Kenny Larkin: Always a bit out of context, where music is just starting to get exciting. Ji-Hun Kim talked to him about cigarettes in the Spex, many years at Ableton, the Krux to the Internet, and laptops to bandmates. Thank you for your beautiful filter tape. First tell a little bit about it. It covers a wide range. From 60s easy listening to techno, pretty much everything is there. I was never a purist. Is there a story you wanted to tell? It's mainly stuff I just feel like doing. It was about music that does not cling too much to a time context. I always find it interesting to listen to music where you can not tell if it's 30 years old or yesterday. For example, the record "Silence of Wisdom" by Deux Filles, which dates from the early 80s. But that could be just like last week. I find the context you open up exciting as well. I would never have thought to hear techno such as Bochum Welt or UR in your mix. I do not even realize that as techno. Even if that of course fits into the club context. However, I often notice that music, even if freed from the genre costume, can still work. I'm from a small town, Lindau am Bodensee. That's where I started in the early 1990s. There could be no puristic evenings, there were not enough people. So I mixed hip hop, house and techno, but also early jungle and guitar music. We just wanted to hear good music. I grew up in the Ruhr area and even there it was much more eclectic. I think it is retrospective but not that bad either. In Berlin, there were already small-scale techno camps in the 90s. Total. But I also thought it was a pity that Berlin was not a little more fluffy. That one did not just say: the main thing is good music. That can be anything. Although I was amazed at how consistently you have published the past years records. I know your stuff well from the beginning of the 2000s and heard it a lot. Since I started with music - that started in 1995 - it was important to me. I never wanted to start a great career. I always wanted to do something, so I can look back to see what I've done in times past. I once won a competition, that was in 1998, and then went to the Winter Music Conference. I almost got involved in a Marlboro USA road trip at the age of 19. At that time they were allowed to. There was an ad in the Spex. I participated and actually won. At the time I had started with the production, first pieces and was totally looking forward to the journey. That must be supercool, I thought to myself. Daft Punk was there, all the drum and bass people from London who thought at the time that they would take over the world. A fun time. But at the same time, I was standing in the Hilton hotel, where the conference was taking place, watching the action, I almost as an outsider - because that's not what I really belonged to - and saw how the music industry works. So I asked myself if I really want to play along. Is it something that drives you? Somehow I found that pretty awful. Do you still trust the industry today? At the time I asked myself: is this a life plan? Is music producing a complete life plan? Do I want to be a musician? But then I decided against it. Simply for the reason that the music industry is just strange and I also consider music as a kind of balance to the real life out there. It should be mentioned that you have been working at Ableton since the very beginning. Yes for about 17 years. What exactly are you responsible for? I started as technical support and then I took care of the Max for Live division and programmed a lot for it. Today, I also do a lot of prototyping for native instruments and effects implemented in Ableton Live. Say everything that has to do with DSP processing. I'm currently working on the basic ideas. Today this is also called UX, User Experience. As a matter of fact. I'm quite a nerd, too. I touched almost every synthesizer in the world at least once. But actually I do not like the word nerd. If you've seen a success story like Ableton backstage for so long, how does that work? For me, that feels like I've lived through four or five companies. There have been deep changes over time. Within the industry, within the company, within the society. The perception of how people use computers has changed a lot in the last 15 years. But also the kind of people who use such things. At the end of the 90s you were in Berlin. It started with people making music on laptops. Labels like Morr Music became known. Indietronica was suddenly a thing. I always notice that today many people have never perceived Berlin as an indie city. Berlin bands like Contriva were totally inspiring for me. Today, most people shrug their shoulders. It no longer exists in the perception. It seems to me that this was totally ousted from the canon. The indie and electronica scene was a big pillar of this city. Culturally urban historical, if you can say that, but that does not matter anymore. What a pity, but techno just rolls everything flat. That's fact. For me, the Indietronica thing was a plant that needed to be cared for more carefully. Even more mainstream acts like Paula have emerged. It was perceived throughout the world. Indietronica from Berlin attracted attention in Japan, USA and also Canada. That was relevant and I found that so exciting. It was not just a Berlin-related thing. Often Berlin issues have that to them, that they never come out of Berlin and are only occupied with themselves. If you travel internationally, is it for music? First of all, it was all friends and mates, so the big industry was far away. City Center Offices was not Sony Music or anything right now. Are you missing the road? I miss it already. But it was also very exhausting, because I have always put the tours on my free holidays. If you join this for a few years, there are hardly any free weekends left. That sounds like whining at a high level and probably is. But with a full-time job and the music at the same time - you can get close to burnout. From time to time I still give concerts, but that is not comparable to that time. But I am glad that I had it. That was a lot of fun. Nevertheless, you have managed to constantly produce your own albums in recent years and publish yourself. Everything on Bandcamp. I had the claim of myself to continue to produce music, also because it is simply important to me. I've applied here and there for a few labels. But because I was completely outside the context, nothing came of it. That was maybe three e-mails. Among other things, I asked Mute Records, completely megalomaniac (laughs). "First of all start with the little ones." Of course, nothing happened, but thanks to Bandcamp you can do that pretty well today. You still have to discipline yourself. I agree. That's pretty strange, too. Because there is no feedback, far and wide. You're the maker of everything, from music to cover, and most of all, there's no one who reflects that. There is also no one who reviews this because it does not appear on any well-known label. That's me and the internet. The Internet itself gives you no feedback. It is said that the Internet brings all countries together. Yes and no. Of course, I am happy when someone from Argentina writes to me and is happy about my music. But that's a different process than meeting someone and talking about your music, either because that person has a label. The internet does not give me anything. Since I have no personal reference to. After I was no longer with Morr Music - until then everything fell into my lap - I first had to learn to make everything self-sufficient. That was an important process. You just recently released your record "Electronic Music from the Lost World" with pieces from the years 1998 to 2001? For me, you are musically but still an indie musician and guitarist, who simply got into the wrong circles in Berlin. That's right (laughs). I always hated computers. Until I realized that you can make music with it, but until then I did not want to have anything to do with it. Ironically, if you look at my job of today. But yes, actually I come from the guitar corner. The fact that I started using computers to make music was mainly due to the lack of musicians with whom one could have formed a band. To bring four people in Berlin regularly in a rehearsal room is also an impossibility. I totally understand that. But yes, maybe electronic music is just an urban thing. It was like that in New York and London. Electronics was already the basic tenor in Berlin in the 90s. But I never had any connection to Berlin guitar scenes. When I produced Drum and Bass in the late '90s, I only knew Thaddi's radio show. Then I got drunk with my tapes and I tried to turn it to him, so he plays it. It all started.